Carb Cycling for Competitive Bodybuilding, Figure, Physique and Bikini Competitors. 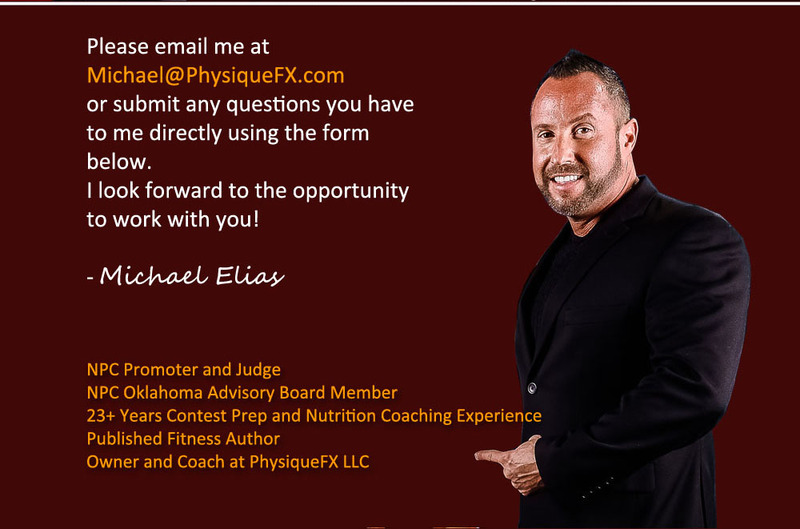 I’m often asked by prospective clients and competitors, “What’s the best method for losing fat while still maintaining muscle?” When it comes to contest preparation, there really is no more important question. Competitive athletes work all year to add every possible ounce of new lean muscle to our bodies. When the time for contest prep comes, our number one goal is to strip any excess body fat while maintaining muscle so we can present the best possible physique on stage. Natural athletes have an even tougher battle when it comes to contest preparation because they aren’t taking supplemental hormones to promote anabolism and to counteract the catabolic state brought on by dieting. Athletes must use every nutritional tool at our disposal to naturally manipulate the hormones related to fat burning to maximize fat loss while still preserving our hard earned muscle. It’s no secret that there are nearly as many approaches to contest prep dieting as there are competitors. Some competitors swear by high protein, high fat, low carb ketogenic diets, while others claim great results with moderate carb, moderate fat, high protein diets. The results competitors experience on these diets can be influenced by a variety of factors including; genetics, chemical enhancement, insulin sensitivity, diet and training history, and other physiological factors. There are certainly cases that can be made for the effectiveness of all these dieting techniques. However, based on my experience training competitors over the past 20 years, I believe the most effective method for lowering bodyfat and maintaining lean muscle mass during contest prep dieting is to use a carb cycling nutrition strategy. To understand why carb cycling is the best approach we need to take a look at the main hormones involved in the regulation of fat metabolism and understand how they are affected by the process of dieting. It’s widely known that dieting often results in a slowdown in the body’s metabolic rate. This down regulation of the metabolism is the result of a chemical chain of events that occurs when the body senses that less energy is available for the body’s needs. Within 48 hours of beginning a diet, the body begins defense maneuvers to counteract this reduction in calories. To maximize fat loss we must understand this chain of events and use this knowledge to our advantage. Two of the key players in the chemical chain affecting fat metabolism include the hormones Leptin and Ghrelin. Leptin is a protein hormone responsible for sending a signal to the brain to indicate how much fat we have in reserve and how many calories we have coming in. Leptin is released primarily from the fat cells and the level of Leptin in the body is directly proportional to the amount of body fat we are carrying. The higher the level of body fat, the higher the level of Leptin in the body. As body fat levels drop, Leptin levels also decline. It is widely understood that the body attempts to maintain a “set point” with regard to body weight. Leptin is a key player in maintaining this set point. When we begin dieting and the body enters a state of caloric deficit, Leptin levels immediately begin to drop. Levels of Leptin can drop as much as 50% within 48 hours of beginning a diet. This drop in Leptin triggers a chain of events designed to maintain the body’s set point and prevent the body from losing weight. Steps in the chain of events to prevent weight loss include; decrease in the levels of brain dopamine, increase in hunger, increase in circulating Cortisol, decrease in thyroid hormone output, decrease in production of testosterone, and decrease in overall metabolic rate. It can clearly be seen that this chain of events is counterproductive to our bodybuilding goals of maximizing fat loss and maintaining lean muscle. Therefore minimizing the drop in levels of Leptin when dieting is certainly key to reaching our goal of a lean muscular physique. Ghrelin is a hormone released from the stomach that is directly responsible for stimulating hunger. Studies suggest that the body’s release of Ghrelin actually adapts according to meal frequency and is a major reason that a person dieting becomes hungry in advance of regular meal times during the day. Increases in the release of Ghrelin cause increased hunger, increased fat storage and decreased overall metabolism. Levels of Ghrelin in the body are closely related to levels of Leptin. As Leptin levels fall, levels of Ghrelin increase. Therefore, as your body senses a caloric deficit and a decrease in stored fat, it signals an increase in the release of Ghrelin to stimulate hunger, and to decrease your metabolism; talk about counterproductive to your goals! In addition to Leptin and Ghrelin, other hormones such as Insulin, Peptide YY, and CCK also play significant roles in fat metabolism and anabolism and decreasing lipolysis when the body is in a state of prolonged caloric deficit. Insulin secretion and sensitivity and it’s specific role in anabolism and fat metabolism will be the topic for part 2 of this series. With our bodies seemingly fighting us right from the start when we begin to diet, how can we ever succeed? Fortunately, we have a method to combat these hormonal signalers that seek to derail our plans to get ripped. The secret weapons in our arsenal are carbs and calories! That’s right, when used properly the much maligned carbohydrate can help us prevent the reduction in Leptin levels and rise in Ghrelin levels which would otherwise stop our fat loss in it’s tracks. The key to maintaining fat loss and keeping the hormones responsible for fat metabolism in the optimal ranges while dieting is the cycling of lower carb and calorie days with periodic higher carb and calorie days at regular and specific intervals. Increasing your carbs and calories in a planned and controlled fashion can and will help you burn more fat. Increasing total carbohydrate and calorie intake for one day, every 4-7 days during a contest prep diet can significantly increase Leptin levels and decrease Ghrelin levels preventing downregulation of the body’s metabolism. It’s important to note that increased carbohydrates are necessary for this process to occur. Simply increasing total calories without increasing carb intake does not create the same effect. Increasing carbohydrate consumption once every 4-7 days also has the added benefit of replenishing intramuscular glycogen stores and improving intramuscular cellular hydration. The key to implementing a successful carb cycling nutrition program is to have a methodical and precisely planned approach. By following a very specific plan, you can easily fine tune or modify your program based on your results to get the perfect combination of fat burning and metabolic stimulation. The program below is the basic approach I have used with great success with the athletes that I train. It’s important to note that aspects of this program may be modified depending on a particular athlete’s individual situation. This program assumes that an athlete’s insulin sensitivity is normal and that they have not been following a prolonged ketogenic or other specialized or restricted diet immediately prior to beginning this program. Let’s assume we have an athlete who is 30 years old, 200 lbs, and 15% body fat who will be preparing for a bodybuilding competition over 12 weeks. The athletes goal is to compete at or below 176 lbs at a body fat of 5%. At 200 lbs and 15% body fat, the athlete has approximately 30lbs of body fat, and 170 lbs of lean body mass. In order to compete at 176 lbs and 5% bodyfat, the competitor will need to drop to approximately 9 lbs of total body fat with 167 lbs of lean body mass remaining. We will implement a carb cycling strategy that will drop approximately 2 lbs of bodyfat per week for the first 6 weeks, and then reduce the caloric deficit to allow for a a drop of 1.5 lbs per week for the final 6 weeks. Day 1 – 6 each week. 0.2 grams Fat for each 1 lb of total bodyweight. Total Calories: 3240 – 37% Increase in total calories. Assuming our 200 lb athlete is training 6 days per week combining cardio and weight training in a method typically followed by a pre-contest bodybuilder*, this program should result in a total fat loss of approximately 2 lbs per week over the first 6 weeks with very little if any lean muscle loss. After 6 weeks our athlete should be approximately 180 – 185 lbs, taking water weight loss into account, and approximately 9% body fat. *It is important to note that residual water levels are likely to drop as the athlete becomes leaner which may result in a larger total weight loss, especially at the beginning of the program. Typical contest prep program assumes 1-2 training sessions per day, 6 days per week combining interval or steady state cardio and weight training. Extreme or unorthodox training methods may require adjustment of this program. 5 days . We do this to counteract the naturally lower levels of Leptin in the body due to the lower total body fat percentage. Taking the reduced total weight of our athlete into account and the increase in calories due to the increased frequency of higher calorie days, this should slow our rate of fat loss to approximately 1.5 lbs per week over the final 6 weeks. Following this program, going into week 12 our athlete should be approximately 170 – 176 lbs and approximately 5% body fat. Competitive Athletes must not only train hard, but also train and diet smart to take advantage of every opportunity available to us. By understanding the way that our bodies respond to dieting, athletes can create a diet strategy that optimizes natural hormone levels to maximize fat loss while still maintaining lean muscle.